A strong foundation supports your house and keeps it in safe, efficient, and cosmetically appealing shape, but there are a few different types of problem signs that could warrant a call to your contractor for foundation repair serving San Antonio . You might notice visible cracks and slopes, floors and walls have become uneven, and doors and windows that don’t open and close like they normally would. 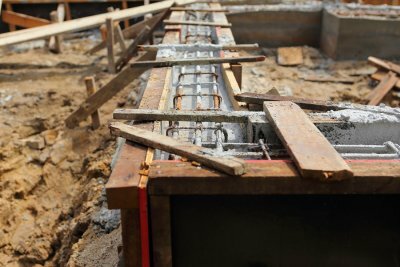 Feel free to keep reading for a closer look at a few signs that your home needs foundation repair. When your foundation starts to break down or sink, it is time to call your foundation repair specialist. If you think you might have a problem with your foundation, take a walk around and look for cracks in your drywall. You might also notice cracks on the outside of your home; you should pay special attention to cracks that resemble a staircase pattern. You might also notice spaces between your ceiling and the molding that should be flush against it. A small amount of sloping in your floors might be normal, but more significant sloping can indicate a foundation problem. If a particular part of your flooring feels sunken in or you notice that the ground around your house feels like it is lower than normal, you might need foundation repair. You should also take a look at your basement walls and see if they appear to be buckling inwards; this could be due to soil expansion, and it might warrant a call to your foundation repair professional. You might find it more difficult to open and close your doors and windows as the weather changes, but this is not the only factor that can make an impact on their operation. The condition of your foundation can actually play a substantial role when it comes to these features. Your house or building was level when the doors and windows were installed, so the sinking of your foundation can put them off balance. Once you seek foundation repair, your doors and windows should operate normally once again.